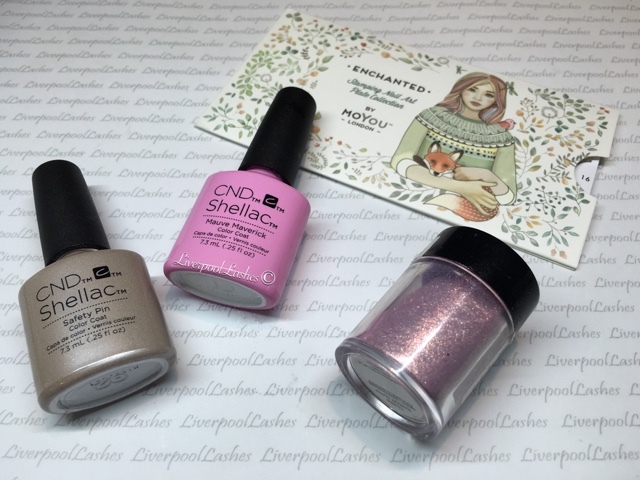 Thankfully as I wanted to use one of the new CND Art Vandal Collection colours, the Shellav shade Mauve Maverick fit exactly what I was going for. 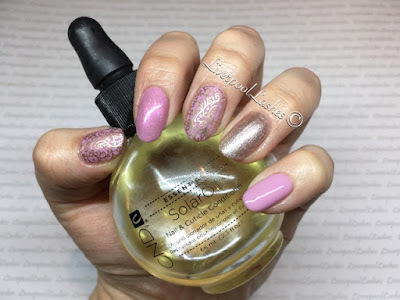 I teamed that up with Safety Pin and Lecente Stardust Glitter in Cluster. To finish my "enchanted" theme I used a new plate I bought from Creative Academy+ Manchester last week, MoYou Enchanted Plate 16 with a gold foil effect polish. aw this is such a pretty look, pink and glitter with the plate pattern is just so so pretty.